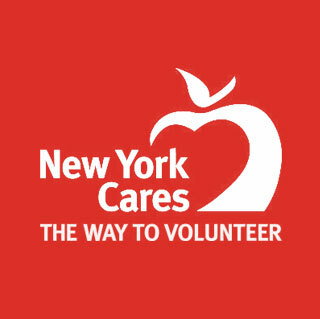 New York Cares, New York City’s largest volunteer organization runs vital programs for 1,300 nonprofits, public schools, and city agencies to help people in need throughout the five boroughs, and does so at no cost to the recipient organizations. Since 1987, New York Cares has made it easy for all New Yorkers to work together to strengthen the city; last year, we provided critical services to 400,000 at risk New Yorkers. FGI donated $1,000 for ‘New York Cares Day’. Employees and friends volunteered their time to help revitalize the gardens and outdoor murals at P.S. 119 Amersfort in Brooklyn. FGI donated $1,000 and participated in ‘NY Cares Day,’ helping restore the William Morris School in Staten Island, NY. FGI donated $1,000 and participated in ‘NY Cares Day,’ helping refurbish the Jackie Robinson Park in Harlem, NYC. FGI donated $1,000 and participated in ‘NY Cares Day’, helping to revitalize elementary school PS 368M in Hamilton Heights, NYC. FGI donated and participated in ‘NY Cares Hands on NY Day’, helping revitalize Tompkins Square Park in the East Village of NYC. FGI donated and participated in ‘NY Cares Day’, helping revitalize elementary school PS 18M in Park Terrace, NYC.